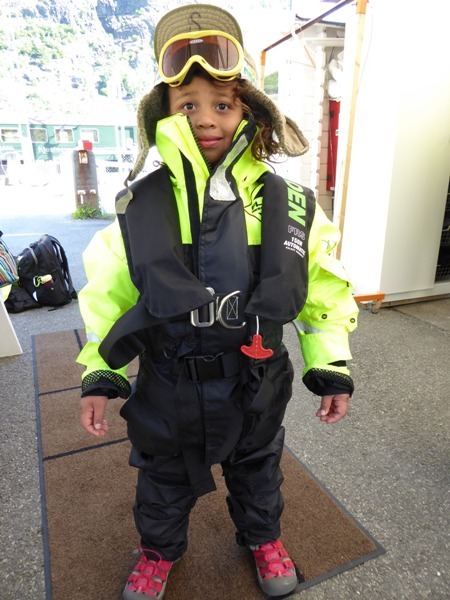 Norwegians have a saying: “There is no bad weather, only bad clothing.” During our Adventures by Disney Frozen tour of Norway, it was as though Walt Disney himself had ordered up the weather. It was clear, sunny and perfect for most of our days outside before turning more typically cloudy and rainy for our long day on the luxury motorcoach. We spent that time watching–you guessed it–“Frozen” on the DVD player. 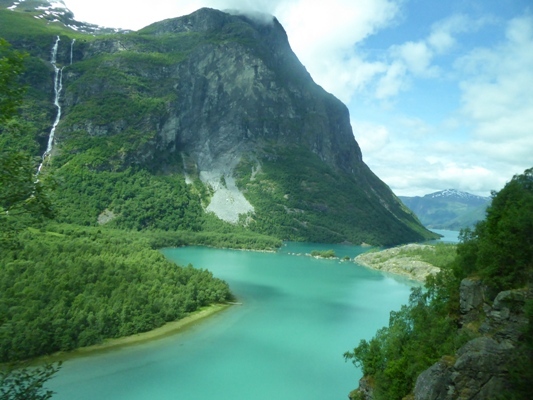 After all, the movie is the reason for the “Yore Way to Norway” tour from Adventures by Disney, the land-based travel company that runs group tours in 28 destinations around the world. The tour is the natural outgrowth of the megahit movie and merchandising. While the trip doesn’t really have enough “Frozen” moments to keep an Anna-and-Elsa-crazed fan happy, it does have incredible scenery, more waterfalls than I could count, a speed boat ride on a fjord, the chance to pet baby goats on a working Norwegian farm, and the constant attention of two terrific tour guides. Around every corner, there’s another reason for “Wow”–a steep drop into a lush valley, another rushing waterfall, an evergreen covered mountain, a fog draped road, patches of snow (in mid-June) rock outcroppings, a curved road that hugs the top edge of the mountain, a glacier, a 25-kilometer-long tunnel complete with an air exchange system and room enough to turn around semi-trucks and tour buses in the event of a traffic tie-up, another hairpin turn in the highway, another UNESCO heritage site. Disney requires that children be at least 5 to join this tour and recommends it for children ages 6 and up (we had one intrepid 6-year-old on our tour). 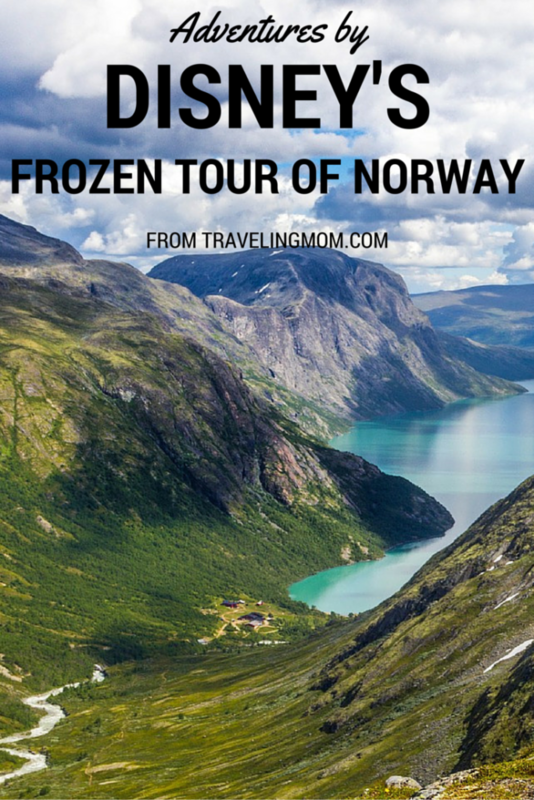 But this tour is focused on Norwegian history and culture, much of it lost on children who will be looking for Anna and Elsa to show up around the next corner. 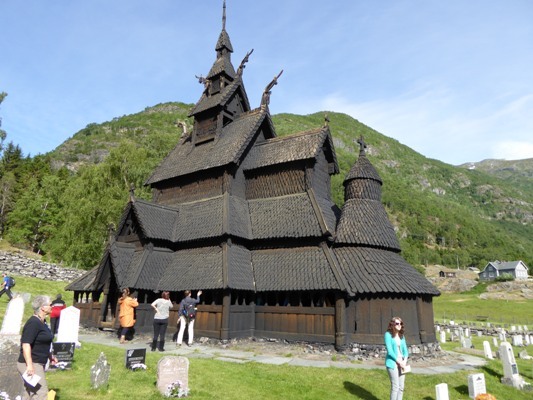 The only real “Frozen” moment in this Adventures by Disney tour (other than the movie playing during one of the bus rides) comes mid-way through the week with a stop at the Borgund Stave Church. This nearly 800-year-old church served as the inspiration for the design of Anna and Elsa’s castle in the movie. This Adventures by Disney tour has both upsides and downsides for teens. On the upside, the motorcoach is equipped with wifi, which means teens will do better on the long rides, although that means they are likely to miss most of the incredible scenery while they are busy uploading a new status to Facebook. 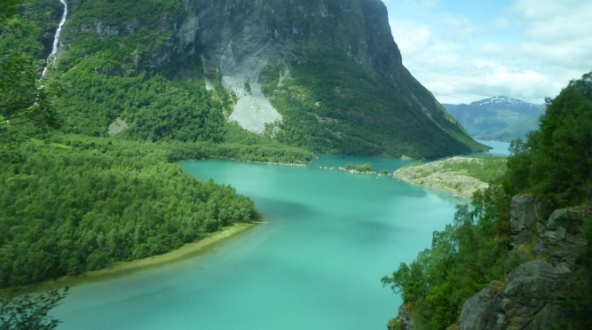 The tour starts in the coastal city of Bergen and ends in the capital, Oslo. It includes only one day in each. If I was to do it again, I would fly in a day early and stay a day late. Between a delayed flight, missed connection in Amsterdam and jet lag, we had only about an hour to walk around the harbor area of Bergen. It was enough time to try a sample of smoked whale offered by one of the many friendly fish market shop keepers along the wharf, but that was about it. Likewise, we had only enough time in Oslo to walk from our hotel to the palace and back for the good-bye dinner. We would have liked an entire day in Oslo to visit a few museums and get to know the city. Too little time in Norway’s two biggest cities is one of the only misses in this luxury tour that features 5-star hotels, top-notch service and vetted locals who speak terrific English and provide Disney-quality experiences whether it involves trying to cut grass with a scythe as Norwegian farmers have for a centuries, learning the history of a stave church or understanding why trolls play such a big role in Norwegian culture. 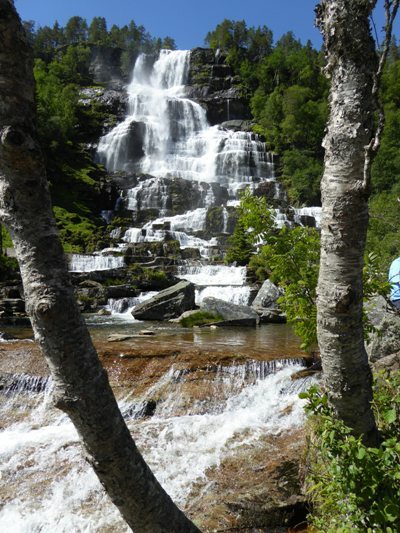 A land tour is only as good as the tour guides who lead it. Our Disney-trained and vetted tour guides, Kira and Torgier, were top notch. It was almost like traveling with my own mom. They recovered the camera and laptop I left on the bus, passed out Band-Aids for cuts and scrapes, knew where we had to be and when we had to be there, offered up tidbits of Norwegian lore, culture and language, and kept us laughing and entertained along the way.